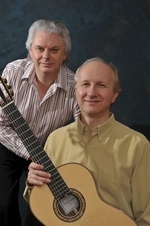 Raymond will be shortly be getting back together with flautist Chris Britton, this time to record an all Bach CD. The programme will include new arrangements of BWV 997, 1033 and 817. Chris Britton was born in London and studied flute and bassoon at the Royal College of Music, London before graduating in music and German at Birmingham University. 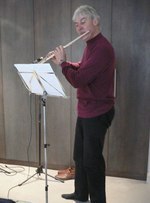 Since then he has worked as a freelance orchestral flautist, including with the BBC. His teachers have included Graham Mayger, Delia Ruhm, Peter Lloyd and Atara Ben-Tovim, and (in masterclasses) James Galway, Susan Milan, Philippa Davies, Judith Hall and Peter-Lukas Graf. Chris has lived in Oxford since 1983. He has long been a fan of the music of J.S. Bach and has performed all his works for flute (sonatas, suites, Brandenburg Concertos, obligato arias such as in the B minor Mass), as well as his keyboard music. He is about to release a CD of music for solo flute by Bach, most of which has been arranged by Chris from works originally for violin and keyboard. 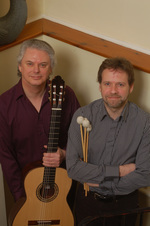 His forthcoming recording with Raymond Burley will also comprise arrangements by both artists.